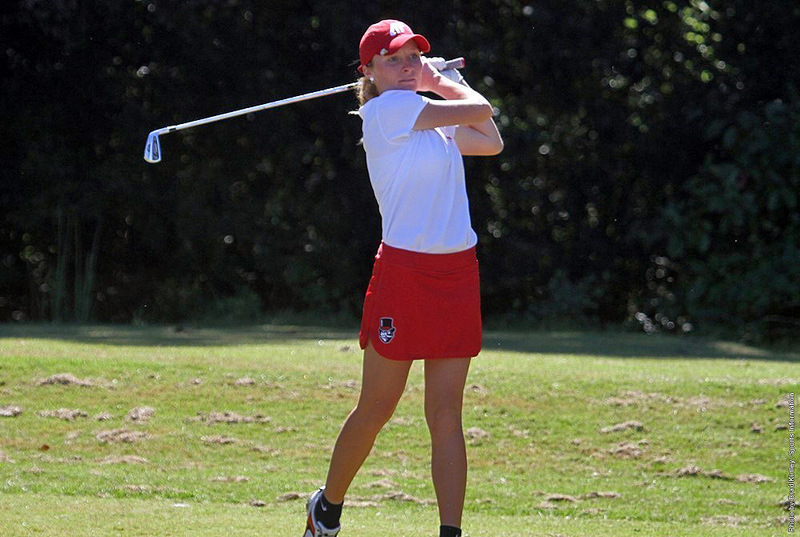 Arlington, KY – APSU women’s golf team plans to continue building spring momentum by playing in its third tournament in less than three weeks, Friday and Saturday, in the EKU Colonel Classic, hosted by the University Club at Arlington. The two-day, 54-hole event will see 36 holes played Friday on the 5819-yard, par-72 course, and the final 18, Saturday. Austin Peay State University is coming off a fourth-place finish at the Saluki Invitational, Monday. It was an event where the Lady Govs were in strong contention for victory Monday until hole No. 15 derailed that plan–they lost 12 shots in two days on the hole. But APSU coach Sara Robson appreciated the team’s aggressive approach that final day and has enjoyed watching her team’s confidence grow at each spring event. “We are coming off a good weekend of golf and excited to play in Richmond this weekend.” APSU coach Sara Robson. “We need to use the momentum we gained this week and play with the same confidence and determination. 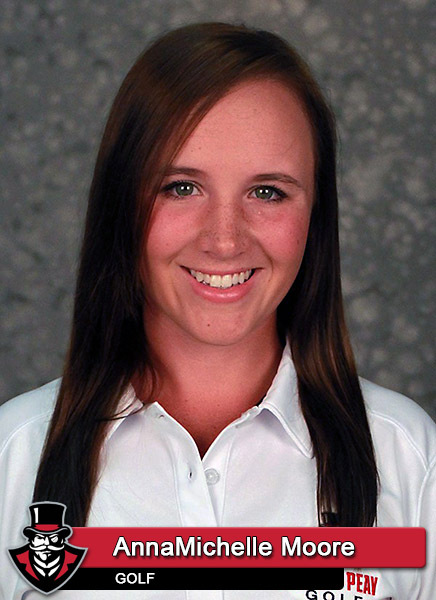 APSU senior Jessica Cathey has been playing her career’s best golf. 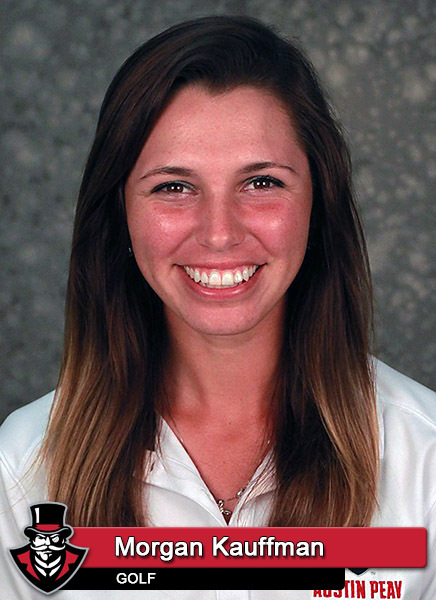 Earlier this week at Hickory Ridge, she rallied from three shots down, Monday, to earn medalist honors by two shots, shooting a final-round 2-under 70 for an even-par 144 score. It was her third tourney triumph this season and second this spring. 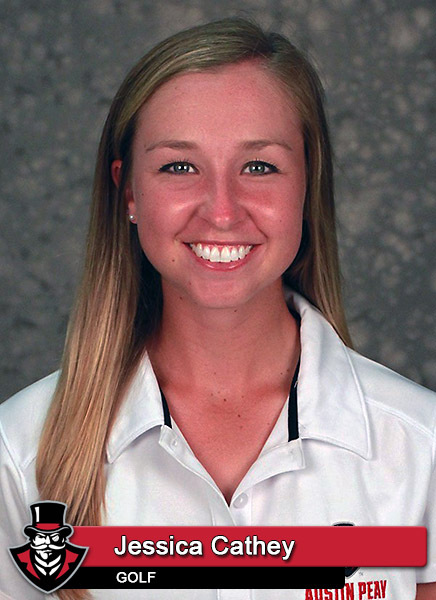 But she got plenty of help from junior Morgan Kauffman, who tied for 14th with a pair of 77s. Cathey, Kauffman, sophomore AnnaMichelle Moore and twin freshmen Ashton Goodley and Taylor Goodley will comprise the lineup with junior Amber Bosworth competing as an individual. In addition to APSU and host Eastern Kentucky, two other Ohio Valley Conference programs will be competing—Belmont and Tennessee Tech. The 11-team field also will consist of Ball State, Bowling Green, Cleveland State, Dayton, IUPUI, Northern Kentucky and Ohio. Although potential frost could delay Saturday’s final round, the weekend promises to be better than last year when rain shortened the tourney to only 18 holes on Saturday. EKU won the tourney with Ohio finishing second.